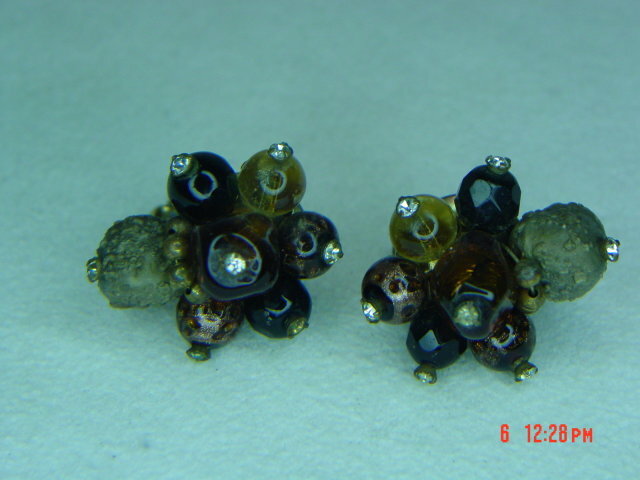 These vintage clip earrings are made of glass art beads. 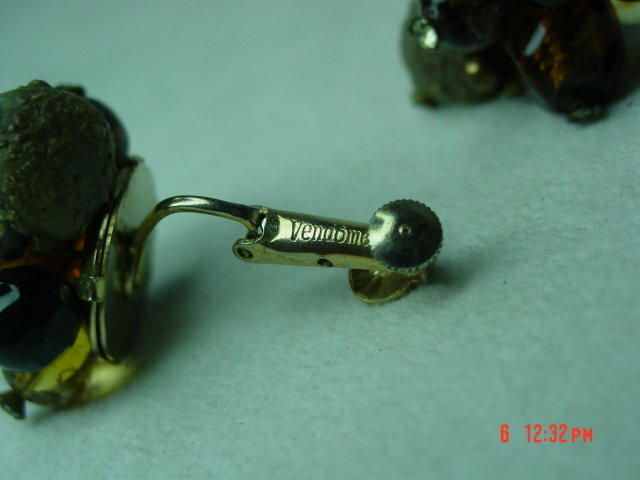 The clips have a screw to tighten the spring on them. 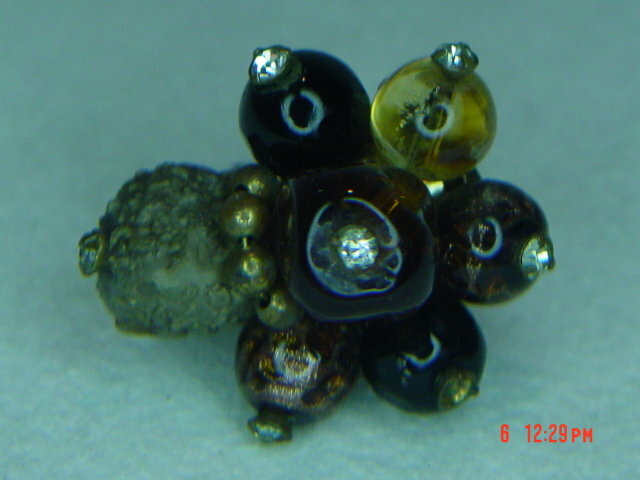 The back of the clips are marked VENDOME. 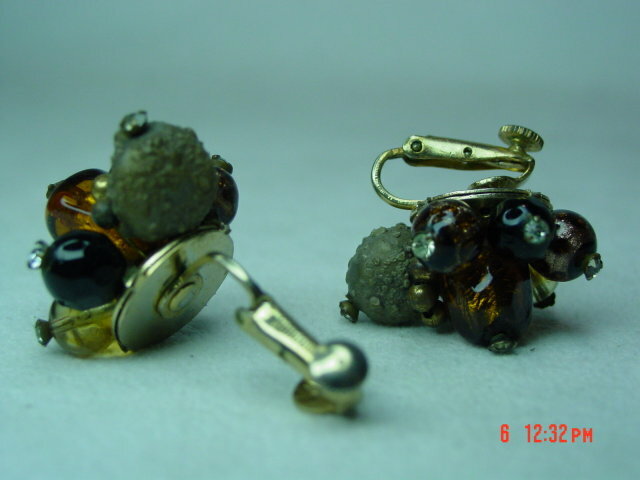 Items Similar To "Vendome Art Glass Clip Earrings"